One 10 karat rose gold ring. One natural sardonyx (12.69 carats). 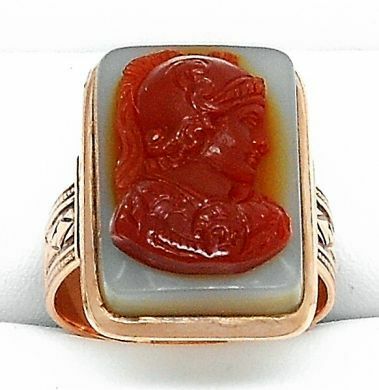 Fused to the top of the stone is a carved carnelian.